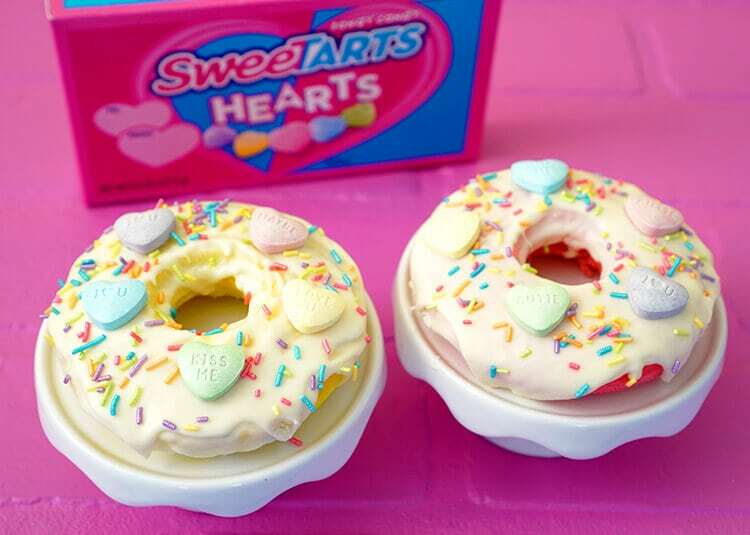 These adorable and delicious Valentine’s Day Donuts are the perfect gift idea for your sweetheart! 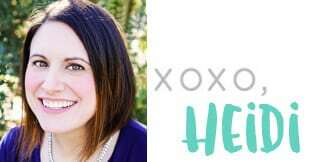 Plus, get the details on how to make a quick and easy heart candy bouquet that’s sure to please! 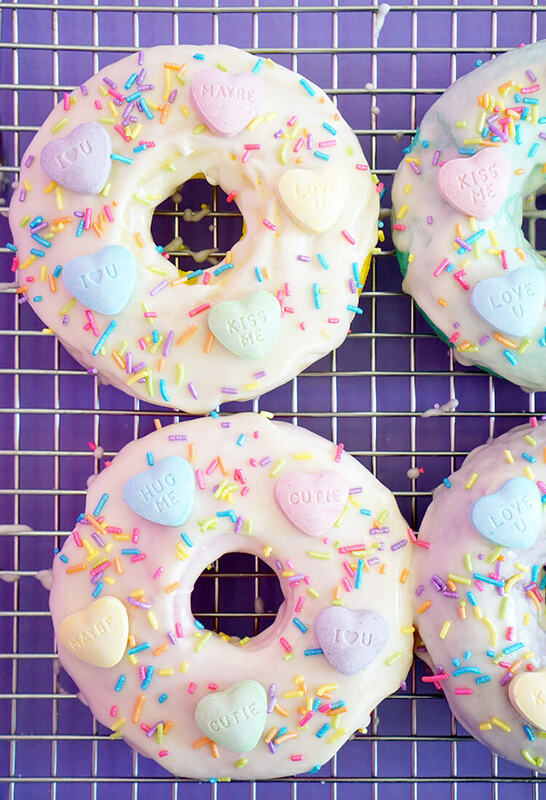 I don’t know about you, but the way to my heart is with donuts, and adorably cute donuts will earn you even more extra bonus points. 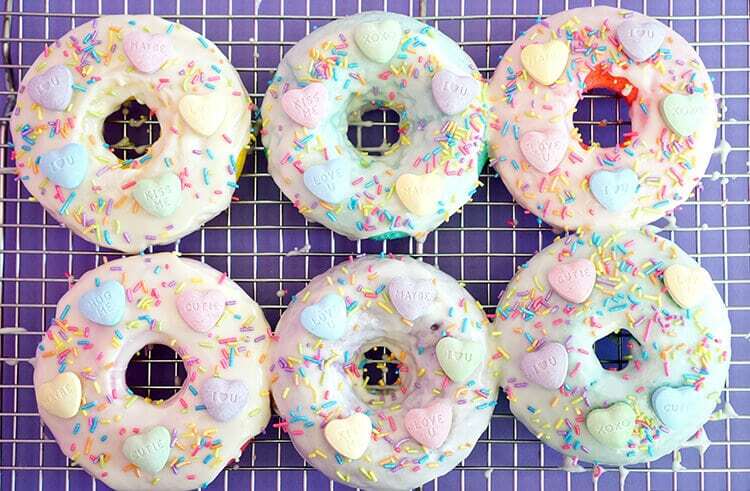 Forget about red roses and boxes of chocolates; give me donuts any day of the week! 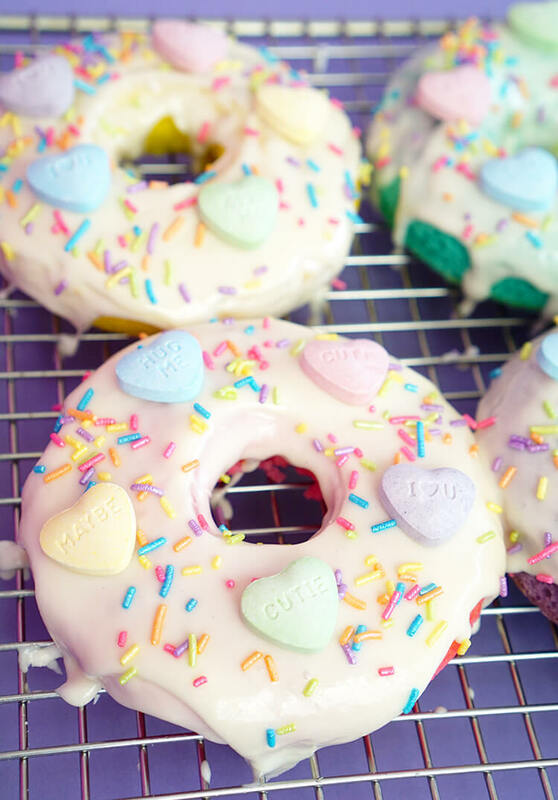 Donuts are one of those classic once-in-awhile goodies that are extra special and beloved, so they’re a great treat to give your sweetheart on Valentine’s Day…especially if they are topped with hearts and love notes! 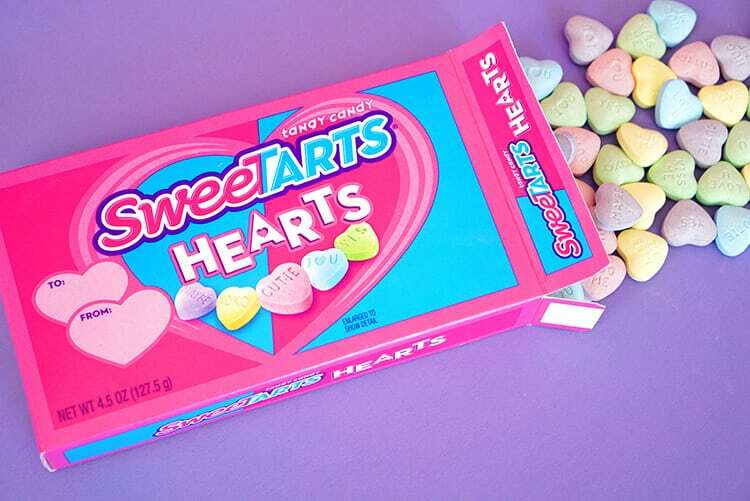 SweeTARTS Hearts have the same tangy-sweet flavor and texture as classic SweeTARTS candy, but in a cute pastel heart shape with a sweet love note inscripted on top. They’re all kinds of adorable! 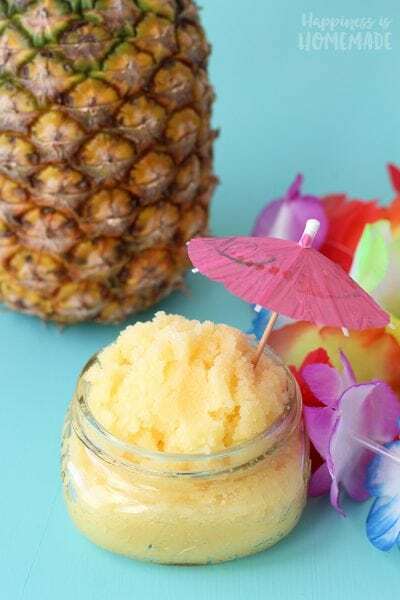 When baking donuts, I occasionally cheat and use a boxed vanilla cake mix for the donut base (add an extra egg to make the cake denser), but feel free to use your favorite vanilla cake recipe (this lightened up version is a great one!). 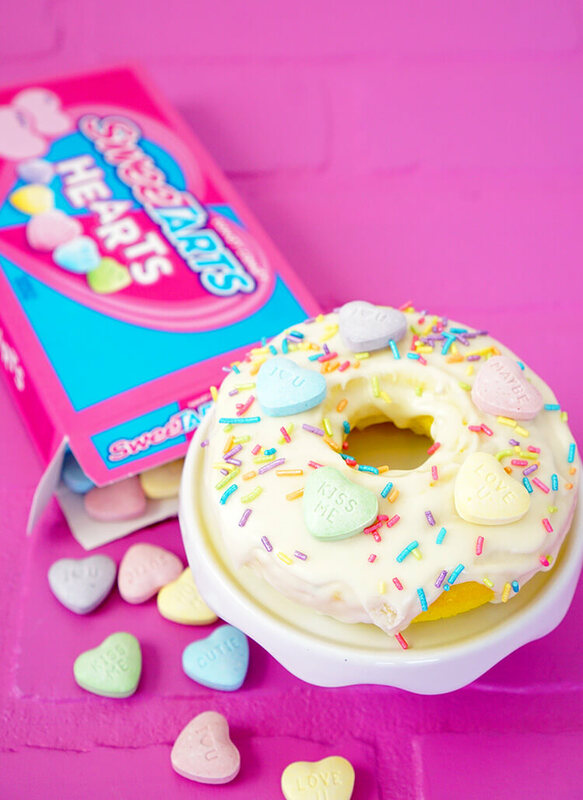 The bright flavor of SweeTARTS Hearts is a perfect complement to vanilla donuts, so I decided to add a bit right into the cake mix. 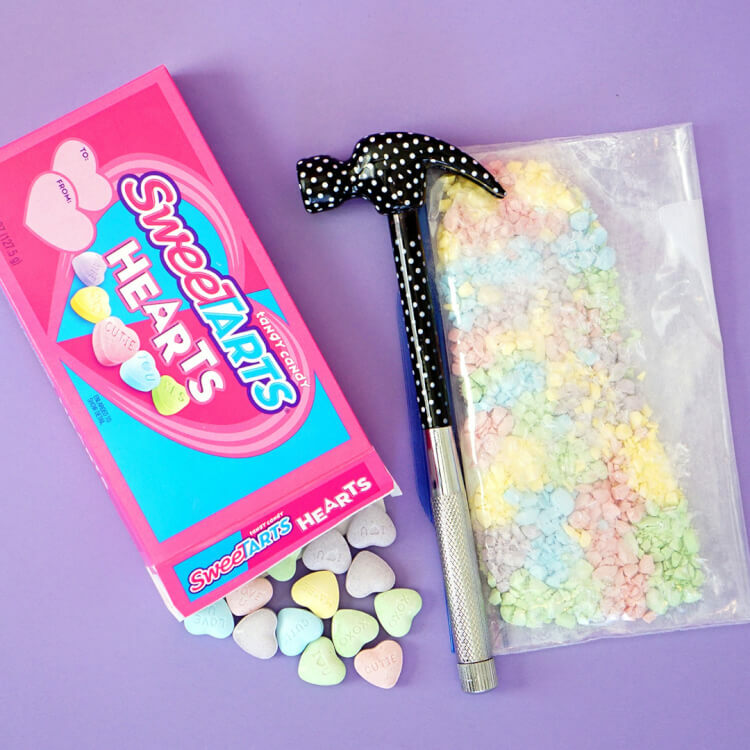 I placed a handful of SweeTARTS Hearts into a zippered freezer bag and used a small hammer to crush them into very fine pieces (slightly smaller than what is shown in the image above) and then mixed the pieces into the batter. 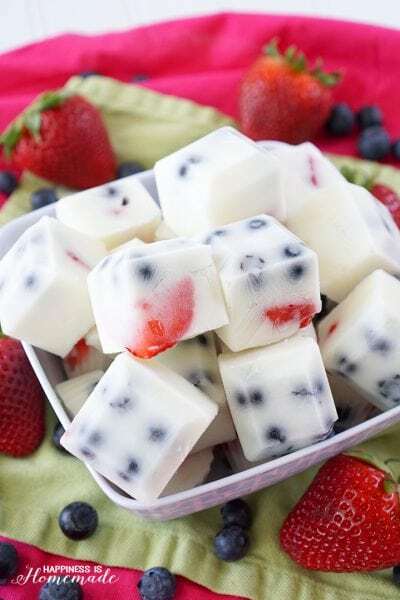 Divide the batter into smaller bowls, and color as desired. 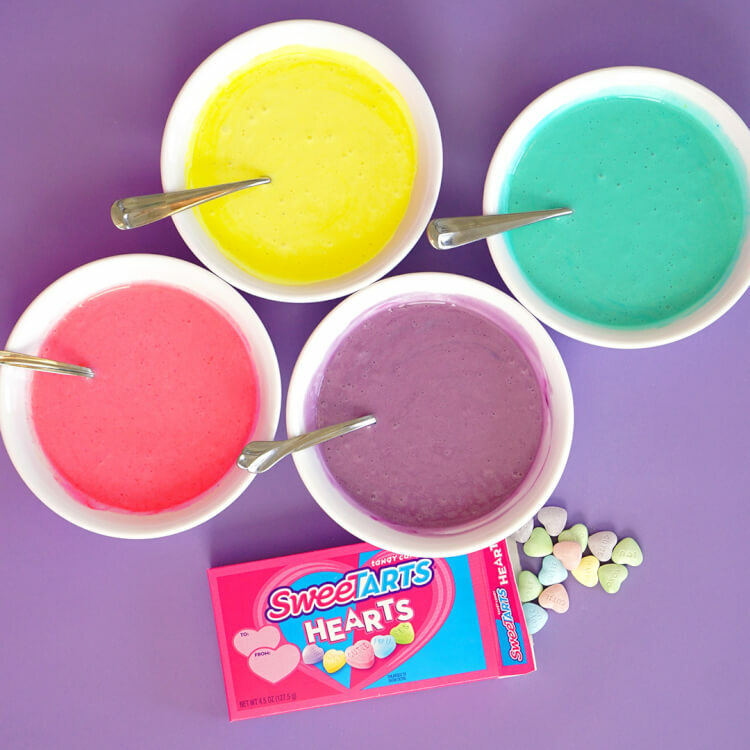 I used pink, yellow, purple, and blue-green to match the colors of the SweeTARTS Hearts. 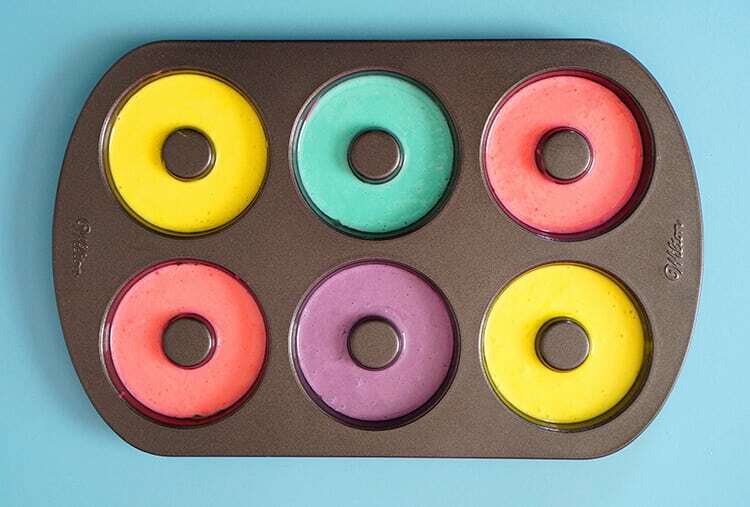 Pour the batter into a donut pan, and bake as directed. 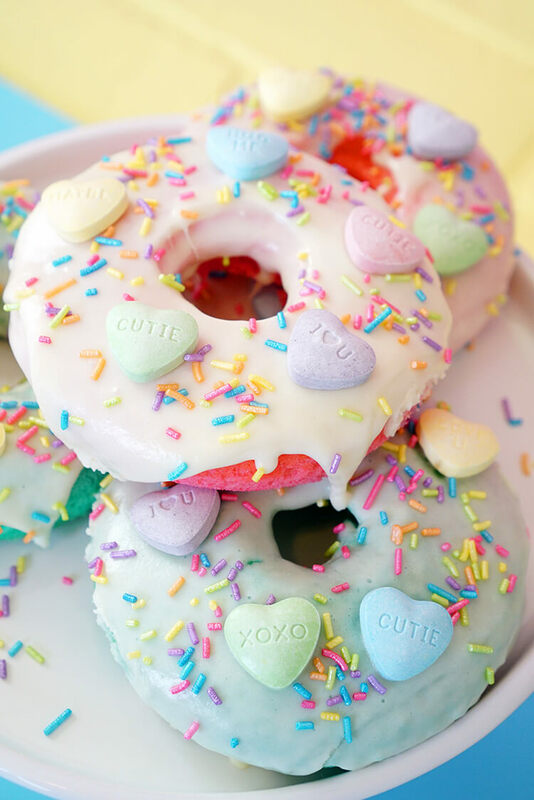 Top each donut with vanilla icing, SweeTARTS Hearts candies, and a few shimmery sprinkles. 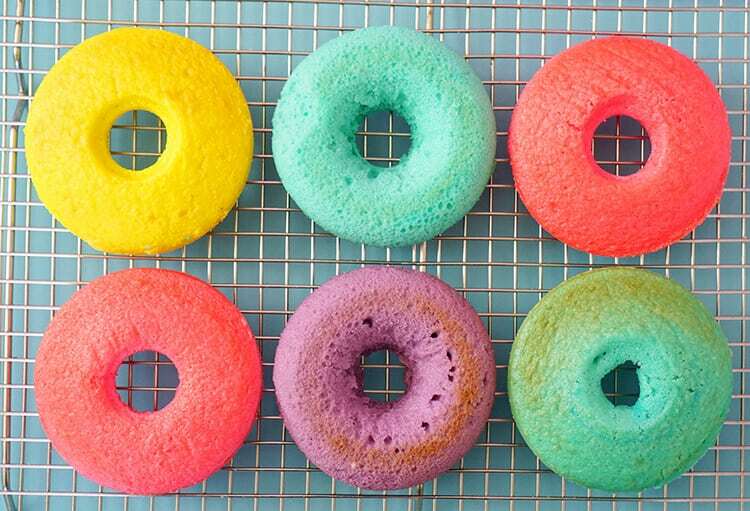 They might actually be the cutest donuts EVER! 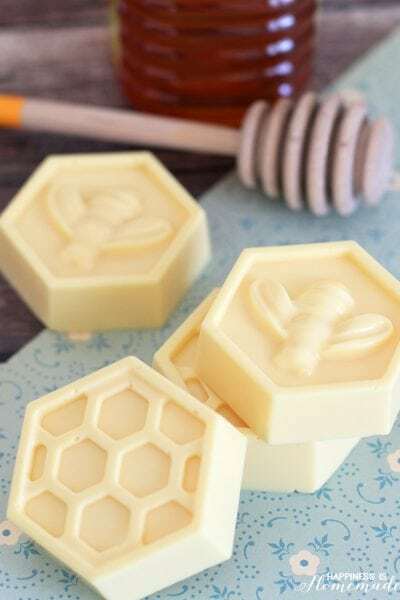 I think your Valentine would absolutely adore these, don’t you? 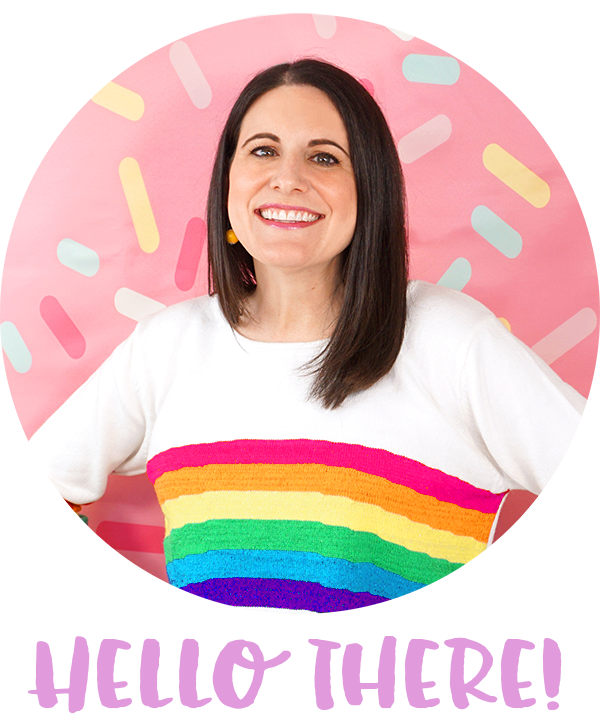 If donuts aren’t your particular love language, though, no worries! 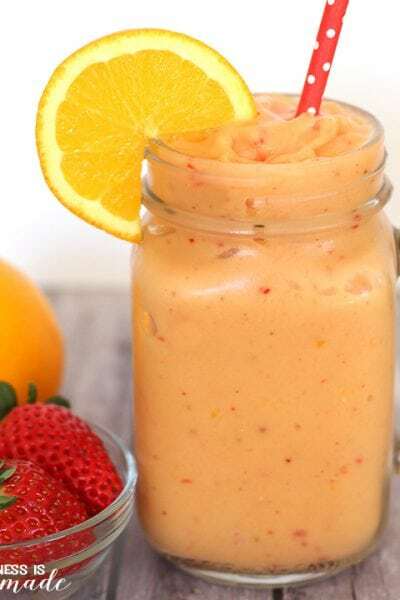 I’ve got yet another fun-tastic Valentine’s Day treat idea to share that might be right up your alley! 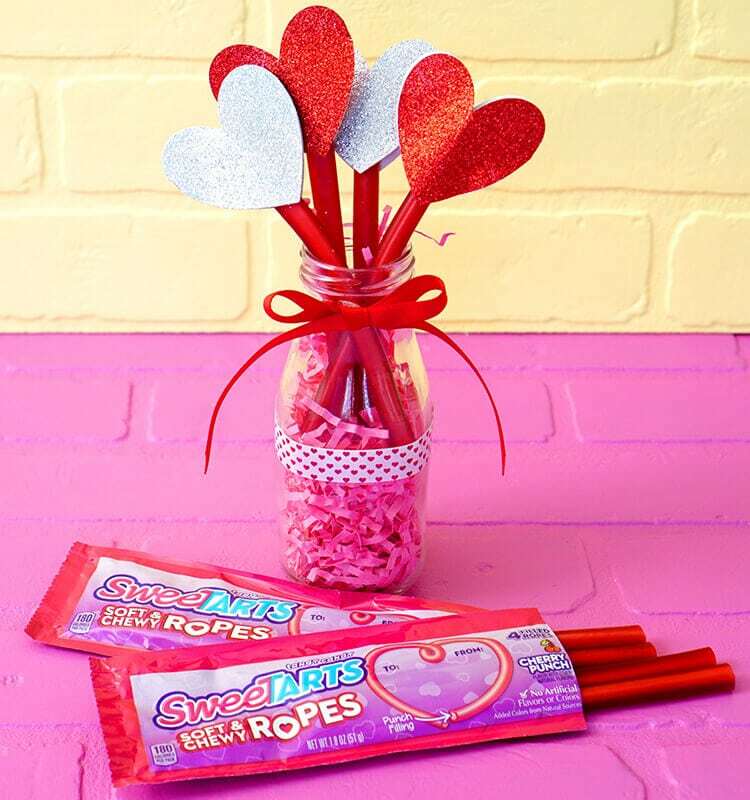 SweeTARTS Soft & Chewy Ropes are a soft, chewy, cherry-flavored licorice rope packed with a tart punch-flavored center, and they make delicious “flower” stems! 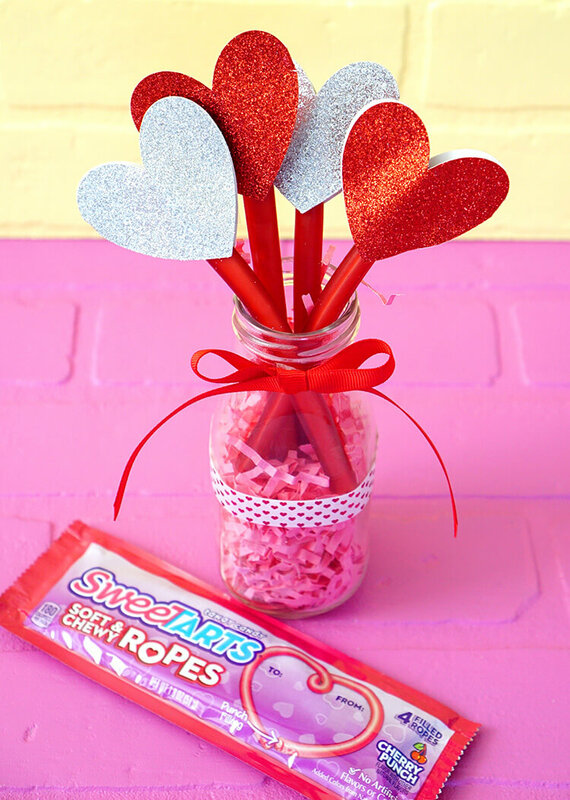 All you’ll need for this sweet gift idea are SweeTARTS Soft & Chewy Ropes, glitter paper, and glue dots. Cut several double hearts from the glitter paper (use this cut file for your cutting machine). 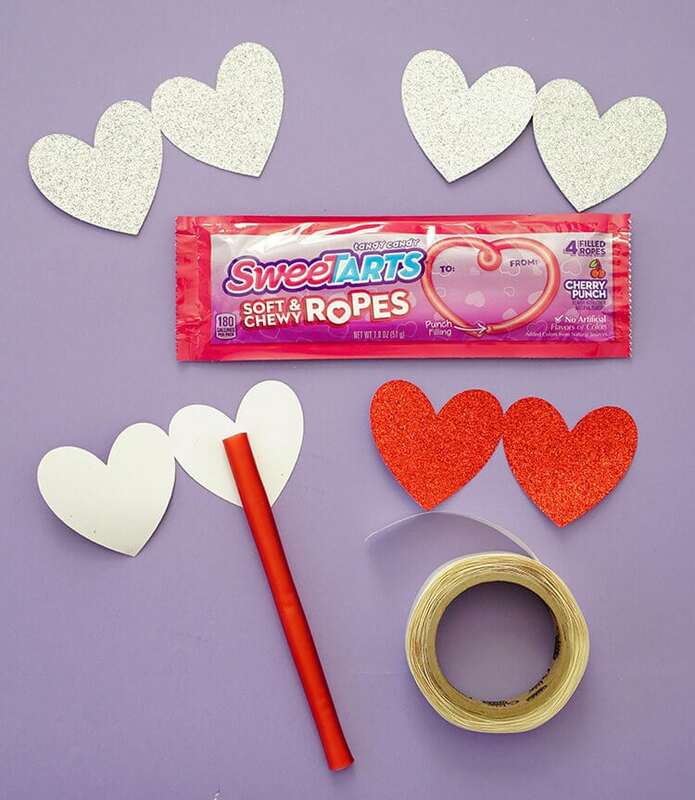 You’ll need 4 sets of hearts per pack of SweeTARTS Soft & Chewy Ropes used. 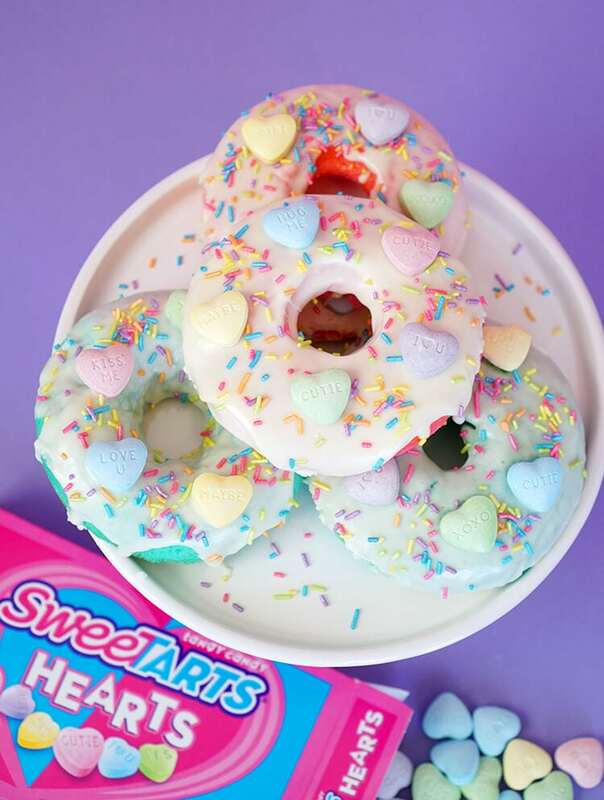 Fold each set of hearts in half (glitter side out), and insert a SweeTARTS Soft & Chewy Rope into the center of one heart. 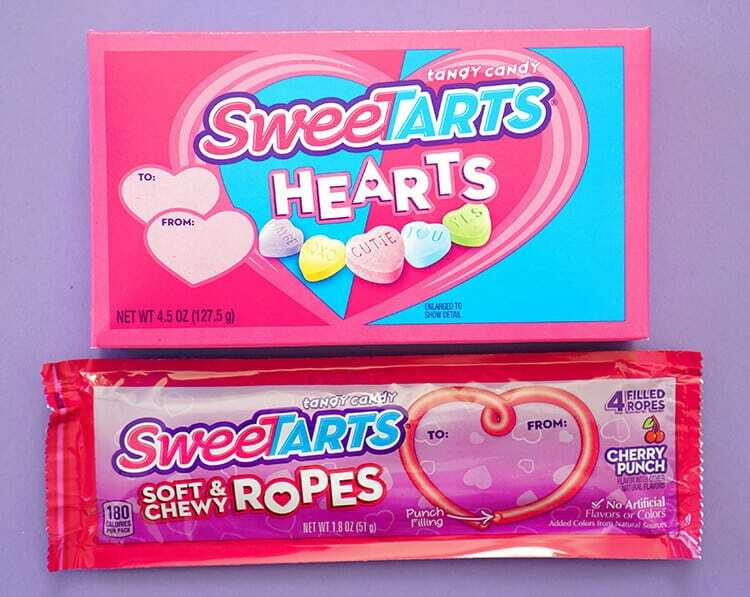 Use a glue dot to seal the edges of the hearts together with the SweeTARTS Soft & Chewy Rope neatly sandwiched inside. 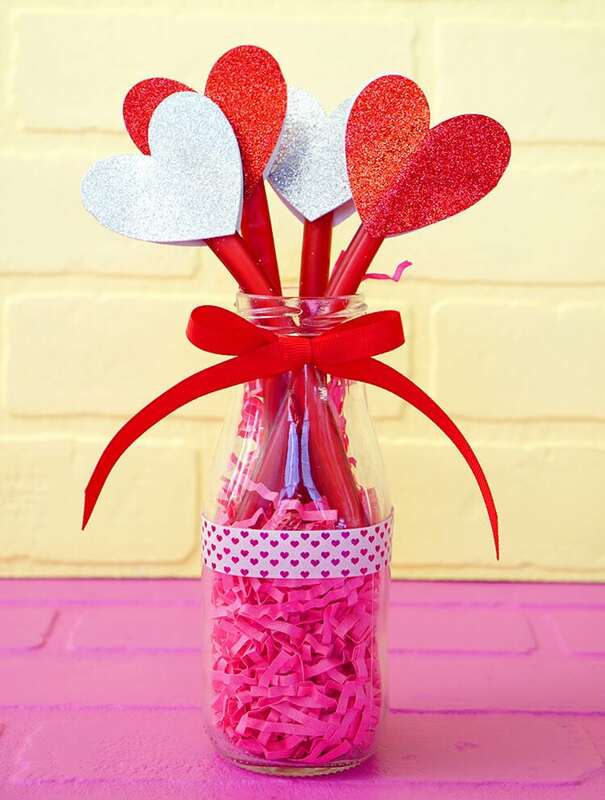 Bundle the heart “flowers” into a glass jar for the cutest bouquet of hearts you’ve ever seen! 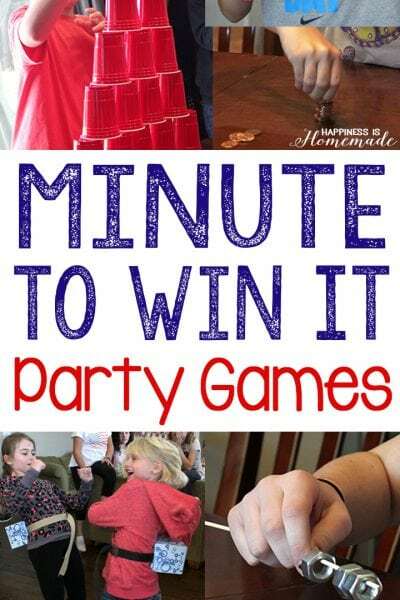 But if making and baking special treats for Valentine’s Day isn’t really your thing at all, we’ve still got you covered! 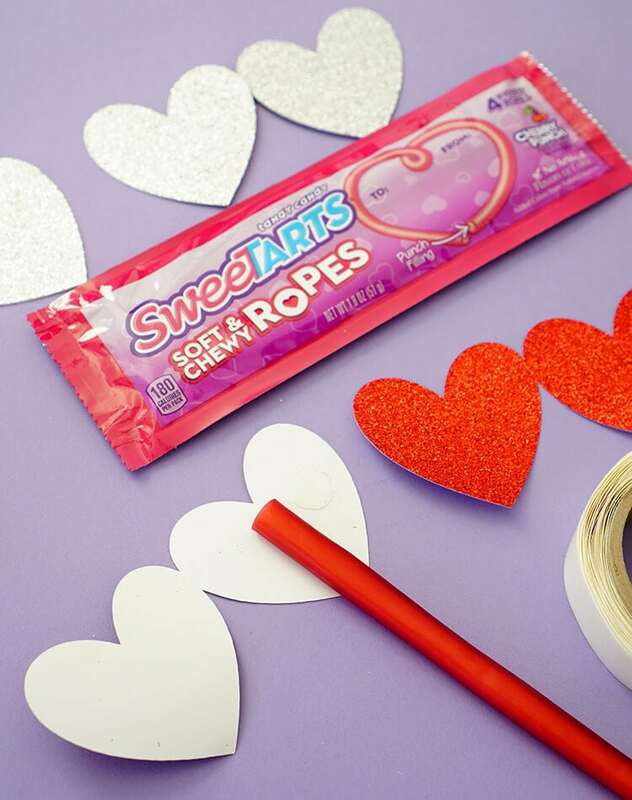 SweeTARTS Hearts and SweeTARTS Soft & Chewy Ropes are perfect for gift-giving all on their own, and they even have pre-printed gift tags right on the packaging – you can’t get any easier than that! 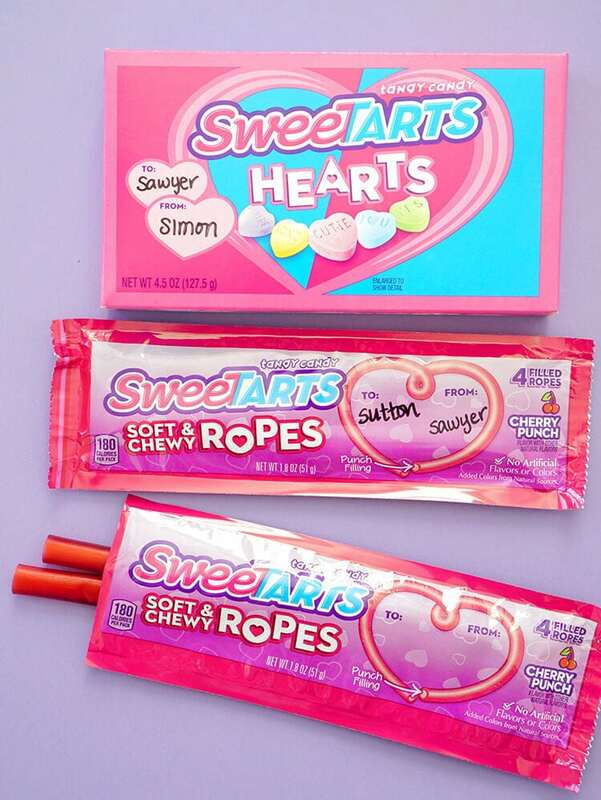 SweeTARTS Hearts (4.5 oz./MSRP: $1.50) and SweeTARTS Soft & Chewy Ropes (1.8 oz./MSRP: $.89) contain no artificial flavors or colors and are a sweet way to let your loved ones know you care this Valentine’s Day! 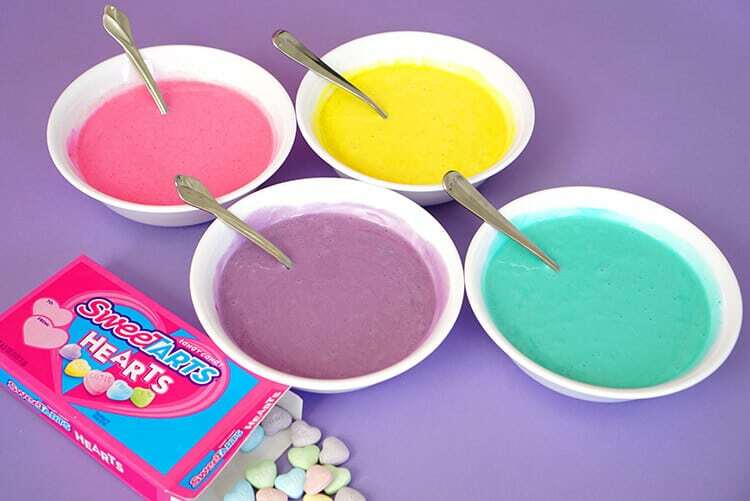 For more fun ideas, be sure to visit the SweeTARTS website and follow them on Facebook, Twitter, and Instagram!